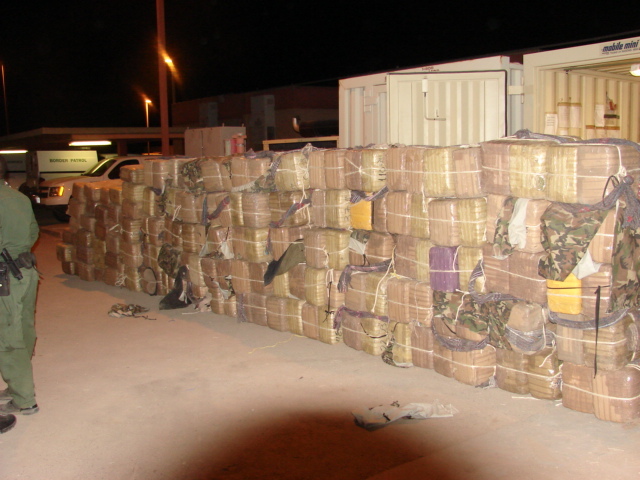 Want to see what 3,589 pounds of marijuana looks like? TUCSON, Ariz. – In three separate incidents over the weekend, Tucson Sector Border Patrol agents interdicted three firearms, 14 rounds of ammunition, 3.3 pounds of heroin, 225 pounds of methamphetamine and a total of 4,265 pounds of marijuana. The above incidents demonstrate the Tucson Sector Border Patrol’s ability to quickly adapt and shift resources to mitigate smuggling activity and counter threats posed by transnational criminal organizations to deny and disrupt their efforts. Next articleThe definite hand of nothing…….